Some will consider email a legacy piece of the computer revolution. However, it is has defied odds to stick around and is still useful. While social media has changed how we communicate, it has not managed to upstage email in official correspondence. Given that email is mostly used for official correspondence, there are a few unwritten rules one needs to stick to to maintain professionalism. 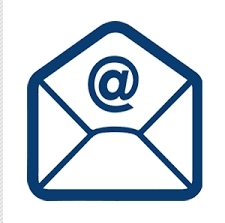 When creating a new email address, you need to think of a professional-sounding address. While sometimes the address you really think suits your name is taken, it is not an excuse to come with one that will make people take you less serious. Addresses such a nico7ish0548411@myplace.com should be avoided at all costs. Toy around until you find something like nicoemail@myplace.com. When composing new email be sure to include a subject line that provides the gist of the message. A succinct subject line also makes it easier for the recipient to spot your email and respond to it promptly. Another advantage of a subject line is that it makes it easy to search for specific email. Email messages are not as safe as you will want to believe. Tales of leaked embarrassing exchanges are all too common now. A user may forget to log out from his/her computer and another user may stumble upon your juicy tales. Keep private conversations to face to face meetings, phone calls or any other appropriate channel, but not email. When sending email to new contacts be sure to formally introduce yourself. People are less likely to respond to email coming from unknown persons who don’t take the initiative to explain who they are. Unlike forms of instant messaging, no one expects you to respond to email instantaneously. Nevertheless, that does not mean that you should take your sweet time to respond. Try to reply to email within 24 hours. 48 hours is considered acceptable in some circumstances. Avoid using slang, jargon, emojis, shortened words, informal salutations and too many exclamations. Using any of these will make your correspondence appear less professional. When responding to group e-emails, avoid hitting the ‘reply all’ button unless every member in the group needs to see your response.